Do practice tests. The aim of these practice tests is for you to be familiar with the question typesin the examination. However, do not limit yourself in listening to IELTS listening materials. Thereare other materials like podcasts that can help improve your comprehension in English. TheInternet itself has a lot of good sources for practice. Time management is the key. How to do this? By simply looking at the questions, you will understand whether what word goes in the blanks. Write hints so that you can focus well while listening and easily spot the answer in the passages. Spelling matters a lot. Spell the words correctly once you fill in the blanks. This is commonly overlooked by some candidates. As a result, they get a low score. Make sure proper nouns are capitalized. Doing the opposite will make your answer incorrect. Use the time to review your answers wisely. Check all your answers: their word forms and spelling. No matter how minor your mistakes are, most of the time they are not considered right. Learn the skill of anticipation. Before each part, an introduction is made. During this time, take a guess on what kind of questions will be made. The topic is usually given at this time, so you are already given a hint of the passage. Improve vocabulary. Read a lot to be familiar with more words. It will be much better to study Australian or British vocabulary words as they are commonly used in the IELTS test. Listen to how Australians or British talk. It will be better to be exposed with different accents to help you understand conversations or lectures in the test. Most people get confused with the flow of the passage since they do not hear the right words clearly. Practice note taking skills. In the test, audio passages are only played once so you have to get all the right details in one listening. Practice listening by doing transcribing activities. Try listening to news on write the first part of it. Not only will it improve your note taking skill but also your comprehension skills. Attend listening classes. Listening classes in IELTS review centers aim to make students become familiar with the course of the exam. Further, practices are given to ensure that each student will develop and build strong skills for the exam. develop good vocabulary and improve note-taking skills. Practicing lets you be familiar with the test. Speaking is one of the sub-tests in the International English Language Testing System (IELTS) that requires preparation from all the candidates. The IELTS Speaking examination requires the candidate to sit on a one-on-one interview as an evaluation. Most Filipinos are good English speakers; however, they lack the confidence when speaking in front of a native English speaker. Thus, a lot of Filipinos take time to practice speaking English not only to improve their confidence in using the language but also develop their English skills. There are lots of activities that one can do to be more comfortable in speaking the English language. One of these many ways is doing tongue twisters. Tongue twisters are phrases or sentences in the English language that are created to be difficult properly. They are a good practice in one’s pronunciation, stress, and even enunciation when speaking. Tongue twisters are fun and probably one of the best ways to improve one’s clarity when speaking. To help you with your preparation for the IELTS test, here are some of the best tongue twisters in the English language. 1. I saw Susie sitting in a shoe shine shop. 2. Peter Piper picked a peck of pickled peppers. 4. Something in a thirty-acre thermal thicket of thorns and thistles thumped and thundered threatening the three-D thoughts of Matthew the thug - although, theatrically, it was only the thirteen-thousand thistles and thorns through the underneath of his thigh that the thirty year old thug thought of that morning. 6. If Pickford's packers packed a packet of crisps would the packet of crisps that Pickford's packers packed survive for two and a half years? 7. How much wood could Chuck Woods' woodchuck chuck, if Chuck Woods' woodchuck could and would chuck wood? If Chuck Woods' woodchuck could and would chuck wood, how much wood could and would Chuck Woods' woodchuck chuck? Chuck Woods' woodchuck would chuck, he would, as much as he could, and chuck as much wood as any woodchuck would, if a woodchuck could and would chuck wood. 8. Through three cheese trees three free fleas flew. • Always find an opportunity to speak the English language. • Find a speaking partner who can help you improve English. • Enroll in an IELTS speaking workshop to improve both skill and confidence. With constant practice with these tips and tongue twisters, being a good English speaker is very possible. How Much Does an IELTS UKVI Exam Cost? A great deal of people is searching for different opportunities overseas. For Filipinos, working and studying overseas should not be missed as an opportunity. One country that has been gaining a lot of popularity amongst Filipinos is the United Kingdom. In the recent years, the number of Filipinos leaving the country for work and study has risen. Most of these working professionals are in the healthcare industry as the UK has rising demand for nurses in their country. Further, many students want to experience studying in a prestigious academic institution in the UK; hence, they leave for scholarship programs in these universities. Though it seems like going to the UK is easy, there are a number of requirements that need to be completed and submitted, and one of these is the IELTS UKVI. The United Kingdom Visas and Immigration (UKVI) has announced that it will only accept the International English Language Testing System test results in UKVI authorized test centers (IELTS UKVI). This is to provide another rating under the CEFR level. With this announcement, Filipinos start looking for information about the IELTS UKVI. The IELTS UKVI has the same exam content with the IELTStest. The obvious difference between the two is that the IELTS UKVI can only be taken in UKVI accredited test centers. Currently, there are only two cities in the Philippines that host the exam – Manila and Cebu. Another difference is that the candidates have to pay PhP 14, 835 as their fee for the test – a lot more expensive with the IELTS test. The test fee is the same for both British Council and IDP. The IELTS UKVI still has the two modules of the test – the Academic and the General Training modules. For the Academic test, this is the test needed by individuals who are planning to undergo graduate or postgraduate studies in the UK. This is also needed for individuals who are planning to seek professional registration in the country. The General Training, on the other hand, is for applicants who will study under a below degree level. Just like the IELT test, test candidates for the IELTS UKVI should consider some preparations for the test. Below is a list of some things to get ready for the IELTS UKVI test. • Make sure you take the test with good vocabulary. Filipinos are accustomed to using American English vocabulary. There are some American English words that have British English counterparts. Knowing these words will help you better understand articles and passages. • Listen well in the exam. Note taking skills are best to be developed for the IELTS UKVI. A success in the listening test relies on how well the candidate has taken down notes and how well he or she managed to comprehend the passage. • Improve grammar and sentence construction. Well-thought of responses in speaking and writing gets candidates a good score. This is possible when responses are grammatically correct and are used in well-constructed sentences. • Take every opportunity to speak English. Getting used to speaking the language builds fluency and confidence needed for the speaking test. Always try to use the English language in simple conversations daily. • Review in IELTS UKVI test centers. With programs on lectures and practices, one gets a lot of training and exposure needed for the test. The IELTS UKVI test is not only a requirement to be completed but also a good way to assess your English skills. Take the IELTS UKVI with the right amount of practice and review. A report from SBS has revealed that there were allegedly reported fake results for the IELTS as used in some visa applications for Australia. The said report cited that the fake IELTS test results from Vietnam are sold from $5,000, $10,000, or $12,000, depending on the score. A Vietnamese university student who spoke to SBS News on condition of anonymity, said her friend made several unsuccessful attempts to pass the permanent residency test, and became desperate. The woman allegedly paid about $5000, but then withdrew out of fear. But there are claims others are paying a lot more. A migration agent, who didn’t want to be identified, told SBS News the company she works for, which operates in Vietnam and Australia, offers a middle-man service for those willing to pay. “If the client wants to work and migrate to Australia, we offer them the fake IELTS, yes,” she said. “The price gets higher every day. And right now, I know it's about $12,000." SBS Vietnamese journalist Olivia Nguyen said some foreigners see fake IELTS as their only option. It is claimed students and workers were using the service. “They find, fake certificates as the way to get the visa in Australia,” said Ms Nguyen. Ms Nguyen spoke to one student who confirmed the rort. The student claimed it wasn’t hard to find an unscrupulous provider: several websites advertise fake IELTS. Migration agent Ha Nguyen said it could be lucrative. If these allegations are true, should there be a strict implementation or a tougher IELTS? This type of issues involving English proficiency tests is no surprise. Few months ago, leaks regarding TOEFL in the UK were also reported. You can check that article at this site. Candidates for the IELTS examination religiously focus on reviewing for the exam. Most of these candidates have a target score to reach for their applications overseas. Failing the IELTS is not an option here. Not only will it cause delays with their application but also the IELTS examination is not cheaply priced. Hence, there is great pressure in getting the target score in the exam in only one take. Successful candidates have their own story to tell on how they passed the IELTS exam. The common denominator to their claim is focus on studying for the test. How can one effectively study for the test? Here are some tips that can help you ace the IELTS test. · It will be better to know which sub-test you have the most difficulty with. Assessing your skills makes it easier to focus on which part to study. For example, if you have a weakness in writing essays, it will be beneficial to put more time in reviewing doing writing practices. In other words, prioritize the sub-test that you are not confident with. · Learn how to manage your time for the test. There are some candidates who take so much time answering questions that they lack much time reviewing their responses. Parts of the test have limited time, so practice answering exercises within the allotted time. · Create a schedule. For example, on Mondays you can study reading. Only focus on area when studying so that you can have all your focus on its skill building activities. For example, when you are studying for reading, you can practice the skill of skimming or scanning and develop these all throughout your study time. · Study at your most convenient time. If you are a morning person, study in the morning. You have to find out which time makes you more productive. This will ensure that you are learning something from the schedule that you have made. · Limit the areas to be studied in a day. Information overload is not a good practice. It will only drain you and make you easily tired. · Understand the test format of the IELTS. Know which skills are evaluated in a particular sub-test or task. Knowing how the test runs will make you more prepared for the real one. · Listen to IELTS videos online. There are a lot of videos on Youtube that shows skills to be developed for the IELTS test. Also, there are videos on how to do speaking interviews that can guide the viewers on what to do during their exams. · Find a speaking partner. A speaking partner is recommend for you to practice speaking in English. This will also boost your confidence in using the language. · Enroll in an IELTS review center. IELTS review centers have very effective class schedules that boost a student’s English skills. They have schedules particularly focused on classroom lectures and only practices. Also, they have one-on-one speaking classes where speaking coaches can give out comments and advice to develop a student’s English skills. Studying for the IELTS is important. Being prepared for the exam means having enough time learning and improving skills for the IELTS. How to Get a High Score in IELTS Exam? Every candidate in the IELTS or the International English Language Testing System test aims to get an overall band score of 7.0 or even better. This is because most companies and institutions overseas require this score before a specific person can be awarded with a visa or given an opportunity for work. Since everyone does not want to miss both opportunities, there is great pressure in taking the IELTS test. There are some candidates who believe that the IELTS test is just a comprehension test on how well they can understand English. In reality, there is more to that. The IELTS test evaluates how well one can understand and use the English language in both oral and written aspects. Knowing this, it is important for any candidate to be prepared before taking the examination. How can one get a high score in the IELTS test? Getting a good score takes a lot of effort and hard work. To help candidates reach their target score and do better in the test, here are some helpful and easy tips. · Be comfortable in using the English language. Being comfortable means finding opportunities in your day-to-day activities to speak English. Filipinos are actually good speakers, yet they lack the confidence in using it. Use English in talking with colleagues or when buying coffee. It is a good practice for your speaking and comprehension skills. · Practice reading. In the real test, candidates are faced with very lengthy reading passages. It could be tiresome. Through reading practices, the candidates can practice how to scan passages to save reading time. · Listen to English materials such as songs, movies, or podcasts. This will help you get familiar with how English words are pronounced particularly in the British or Australian accent. This is important so as to improve the candidates’ note taking skills as well. · Review your grammar. Candidates usually commit mistakes in subject-verb agreement, verb tenses and even punctuation. These mistakes may seem little, but they can even cause deductions from the score. Reviewing grammar is an advantage for both speaking and writing tests. · Find a speaking a partner. Candidates gain more confidence in speaking when they have someone to practice with. This person can be someone who is good at speaking English. Allow the person to give out comments and suggestions with your performance. · Improve your vocabulary. This is very important in understanding listening and reading passages. It is also useful in speaking and writing as you have to choose the right words in making a response. · Make your own review schedule in your most productive time. Do not push yourself to review for the IELTS if feeling tired or sleepy. This will compromise your learning. Find the right time in a day where you feel relaxed and ready to review. · Take practice tests. There are a lot of free exercises online where candidates can access easily. These practice exams expose the candidates to possible question types in the real test. · Have a checklist on what to review on a particular day. Any candidate should understand that putting a lot of information to their brains is not advisable. Cover two to three topics and let the brain rest. · Take review classes in review centers. With coaches and trainers to help, candidates are sure to be on the right track when it comes to preparing for the IELTS test. Getting a high score in the IELTS is very possible. What candidates should always remember is to be confident with their English skills. The confidence comes from a well-planned schedule of review for the IELTS test. How to Handle Time in IELTS Reading Test? Long reading passages are tiresome and boring. Most candidates of the IELTS test find it difficult to focus on the reading test as they are prejudiced that this sub-test requires a lot of effort and work to get a high score. Indeed, the reading test can be pretty challenging as you have to finish reading passages in a very limited time. Time is the major problem when it comes to the reading test. Since candidates are given long passages, managing time to be used during the exam seems to be troublesome. Though the time is limited, there are some ways on how to handle the reading time in the IELTS test. · Make sure that you understand the question. Some candidates read the question without totally comprehending the task. They cannot find the right answer in the passage. The tendency is to read the passage again which is exactly a waste of time. Read the question carefully and be sure to know what information you are looking for in the passage. · Know the specific type of question in the reading. With this knowledge, you will be able to find the answers quickly in the passage. Anticipating the question types while you are still reading the passage can be done as well. · Skim through the passage. Skimming is getting the main idea or the general overview of the passage. You do not have to read every single word in the passage. What you need to do is comprehend the gist of the passage. This is a skill that should be practiced well prior to taking the examination. · Do not do quick reading as this could just make you confused. The test is time pressured, but it is more important to know what you are reading. · Scan through the passage as well. Scanning is finding specific information in the passage such as name, dates, and places without actually reading the whole passage. This is perfect for detail type of questions. Keep in mind what the things you have found as well. · Do not worry if some vocabulary words are difficult to understand. Some words might not be part of the questions. The important thing is to understand the passage together with its details. · Having trouble choosing among the options? Move on to the next question. Contemplating on a particular question for quite some time consumes your time. · Take a guess. If a certain question is too difficult, eliminate some options and take a wild guess. It is better to have more questions answered than spending a lot of time thinking of the right answer to a question. · Have the correct spelling. This will give you more time to review your answers. · Practice. Like the old saying goes, “Practice makes perfect.” Reviewing reading skills is a crucial part for the test. Find people to help you with your reading time management. IELTS review centers offer different review programs to help improve a candidate’s reading skill. Reading can be boring, yet with practice, one can definitely get a good score in the IELTS reading test. Dedication in reviewing is a must, so as much as possible, start reading now. You might find this IELTS reading strategy useful too. An infographic discussing the difference between the regular IELTS and IELTS for UKVI. Source: JRooz Review Center, Inc.
Is it Hard to pass the IELTS UKVI Exam? With the recent announcement that the United Kingdom Visas and Immigration only accepts IELTS UKVI, non-native English speakers who are applying for a visa in the UK should be kept informed about these changes. The International English Language Testing System (IELS) have long been the trusted English proficiency examination by the UK. The IELTS UKVI should be presented by applicants as their requirement. What is the UKVI? The IELTS UKVI is basically the same with the IELTS test. The exam’s content and band scores are the same. The difference people will see is that the Test Result Form in IELTS UKVI has a CEFR level which cannot be found in the IELTS test. Also, the test can only be taken in test centers acknowledged by the UKVI. Other test centers will not be honored. Finally, it is a little expensive compared to the IELTS test. A lot of people are wondering whether the UKVI is difficult to pass. The answer is no, given that the candidate has given a lot of time for him or her to practice for the IELTS UKVI. What can candidates do to pass the IELTS UKVI examination? Here are some ways on how one can excel the IELTS UKVI. · Enjoy reading. Most candidates can get a low score in the reading examination. This is because reading passages can be pretty lengthy and complicated. However, it is a great need for people to pass the reading test. 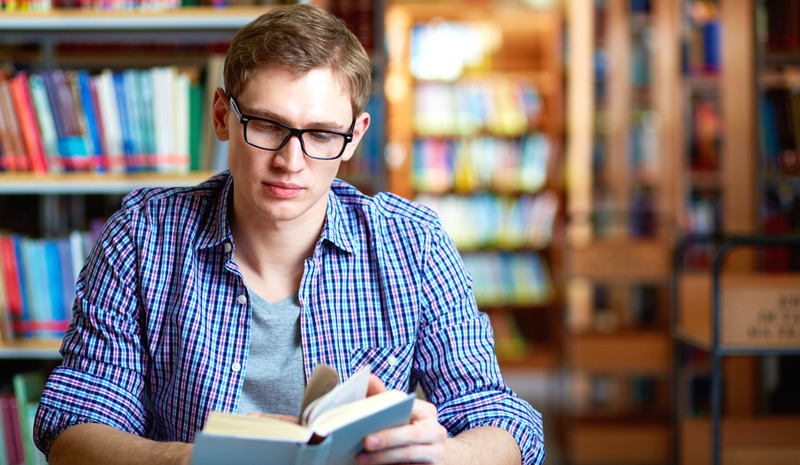 For starters, IELTS UKVI test takers can start browsing any English reading material. In this way, they can practice how to read articles and understand them in the long run. · Learn different strategies for the examination. In the reading test, one must develop a skill in skimming and scanning. With this, the IELTS UKVI test taker will not have a hard time understanding the main idea in the reading. He or she will not have to read everything saving him or her time in the test. · Listening skills should be developed. This skill is best applicable in listening and speaking test. Candidates should understand spoken English as they need to communicate with other people once they go to the UK. · Improve vocabulary. Expressing oneself in speaking and writing is done best with the appropriate words in responses. Always build a good vocabulary bank to show variety of words in responses. These responses make speaking more interesting and essays more elaborate. Avoid repeating the same word more than twice in your responses. Poor vocabulary means poor English skills. · Find someone you can talk with English comfortably. It is important to build confidence in speaking English. There are other people who are good at English but too shy to speak in front of a native speaker. Having a speaking partner will motivate the IELTS UKVI candidate to better communication skills and boost his or her confidence in speaking English. · Review on IELTS UKVI review centers. IELTS UKVI review centers provide their students with practice and lessons to develop their English skills. Also, coaches give out comments and feedback on how one can better their strengths and work harder on their weaknesses. Passing the IETS UKVI is a piece of cake. IELTS UKVI candidates should put a great deal of effort in studying and reviewing their English skills to be IELTS UKVI ready. Speaking well in English means to know the right vocabulary to use in communication. When one is successful to express his or her idea orally, then we can say that he or she is a good communicator in English. The usage of English is important in working and in school. Furthermore, it has been used as a requirement for individuals who wish to work or study in English speaking countries. The IELTS or the International English Language Testing System examination is needed. One section of the IELTS test that most Filipinos are apprehensive is the speaking section. Many candidates are always advised to choose their vocabulary in their responses. Additionally, it would be best for IELTS candidates to make use of phrasal verbs in their responses. What are phrasal verbs? Phrasal verbs are considered idiomatic phrase that is composed of a verb and a participle. They give a new meaning to the sentence once it is used. Here are some useful phrasal verbs, their definitions, and sample sentences. On weekends, I usually hang out with my brother. We play computer games at home, and once we get tired, we play the guitar and sing. My friends used to hang out with me, but since we had a fight, I seldom see them. While I was searching for books in the library, I came across this book about languages. I came across a folder in my documents which has all my school certification. My uncle gave up smoking since he was diagnosed with lung cancer. The athlete was about to give up, but the people’s cheer made him continue the race. Mrs. Lee needs to cut down with her sugar intake. The budget for the plan has been cut down by the management due to some unknown reasons. Through the series of test, I found out that I am a patient yet perfectionist type of person. She found out that her husband was cheating on him. Some TV programs eat away the minds of the younger generation. The strong current of the flood eat away the foundation near the cliffs. My parents were able to see me through college through their hard work. The team were able to see through the project. After a month long of consideration, the principal settled on the new proposal. She settled on the job in the academy. The reading points out several details about greenhouse effect. She points out the advantages and disadvantages of the marketing plan. I can remember my father taking away my toys since I failed my math subject. The men took away the prisoners and lead them into a room. Once used successfully in the sentence, your responses will sound better for the IELTS speaking. Be careful with phrasal verbs. Study them well and practice using them in your –day-to-day conversations. What is the Process in Taking the IELTS Exam for UKVI? There are some changes in taking the IELTS or the International English Language Testing System examination (IELTS) that non-native English speakers such as Filipinos who are interested in applying for a visa in the United Kingdom. The changes in the Secure English Language Tests (SELTs) include the IELTS test for UK Visas and Immigration and IELTS Life Skills. What are these new changes all about? The IELTS Life Skills is taken by individuals who are in need to prove their fluency in speaking and listening skills at Common European Framework of Reference for Languages (CEFR) levels A1 or B1. The IELTS Exam for UKVI is the same with the existing IELTS exam. It still has the two modules – Academic and General Training. The exam’s content, examiners, format and level of difficulty are the same with the IELTS exam of non-UKVI applicants. However, applicants have to make sure that they are registered in a UKVI approved test center. It is very important for you to know the target scores that you need before taking the test. Ask your agency or the school you are applying for their score requirements. The IELTS for UKVI Academic test is mostly taken by individuals who wish to study undergraduate or postgraduate courses. These are for individuals who are seeking professional registration in the UK. The General Training under IELTS for UKVI is for individuals who are going to migrate to the UK or going to study on a below degree level. The Academic Module and General Training are suitable for Tier 1, Tier 2 and Tier 4 UK Visas and Immigration applications. Here are the things that you need to do in booking for an IELTS for UKVI test. 1. A completed application form for the IELTS for UKVI. Make sure all necessary information are filled. 2. Prepare the necessary documents: a valid ID (a passport is recommended) and 2 copies of your latest ID photograph. The ID to be presented on the examination day should be the same with the one used upon registration. 3. Payments can be done online or in person. You visit any local British Council or IDP offices in your areas. It is also possible to complete the registration process in IELTS review centers. These centers are also authorized registration agents for the IELTS for UKVI. The IELTS for UKVI in the Philippines cost PHP 14, 835 for bot Academic and General Training. The IELTS Life Skills test costs at PHP 11,125. 4. The test centers in the Philippines are in Crown Plaza Hotel in Manila and Radisson Blu Hotel in Cebu City. 5. If you need any special arrangements in taking the examination, it should be indicated upon registrations to avoid problems on the exam day. What the candidates need to do is to prepare for the examination. Though the exam’s content does not have any difference from the existing IELTS test, it is still best to come in the test prepared and ready. Reviews are available in different IELTS review centers nationwide. Everybody is familiar with distant learning programs offered by some university and colleges. From the time this kind of program was launched, many individuals took advantage of it and discovered the benefits of studying their graduate or post-graduate studies online. This is where the online IELTS review got the idea of offering quality IELTS training online. There has been a great importance emphasized in taking an IELTS review course. The IELTS or the International English Language Testing System examination has been taken by a lot of Filipinos for many years now. The reason for this is that the IELTS has been made a requirement by many English speaking countries as a requirement for visa applications. Having an IELTS certificate is a proof that an individual can understand and use the English language, assuring his or her success and productivity in the country he or she is applying for. Many IELTS review centers operate and offer different review programs in the Philippines. Class schedules are conveniently arranged to have most of the students available for the classes. However, not all students can make it to class due to their hectic schedules or their locations are quite distant from the review centers. It is with this predicament that online IELTS review classes have been offered. Online IELTS review is the answer to people who want to study for the IELTS but has few complications to attend classes in review centers. What are some benefits one can get from enrolling in an IELTS review course program? Since the classes are online, the possibility of choosing classes that depend on your availability is possible. It is now much easier to manage your time. You can choose to study in the morning or in the late afternoon. Class schedules are given beforehand so that you can take note of the classes you can attend. There is no need to leave the house and spend money on fare. With the online IELTS review classes, you can have your classes right at home. You can wear anything comfortable, even not take a shower. All you need is your computer and a good Internet connection to make the class possible. If you are someone who has difficulty catching up with the lesson in a big group, the online IELTS program is perfect for you. Some students do not have the opportunity to ask questions in a group class since they are shy and do not want to get embarrassed in class. With a one-on-on coaching, you can ask anything that you want to understand in your lessons. There is no need to wait for a week to know your strengths and weaknesses. Instructors directly give their comments on things you need to improve in your English skills. What the students are learning online are just the same with the lessons in a classroom setting. The online IELTS course program is the best way in preparing for the IELTS that you can do right at your own convenience.